One of the largest homes in Kings Grant with over 4500 sq.ft of living space. 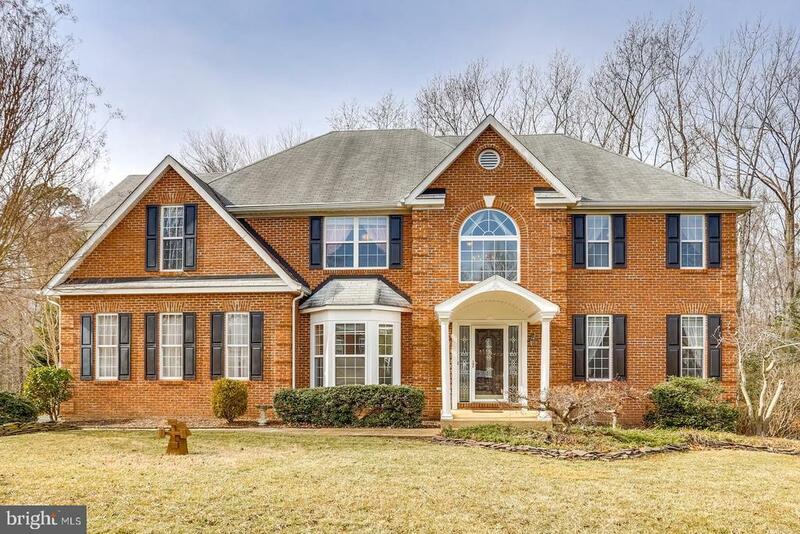 Beautiful brick front Colonial with dramatic 2-story family room with gas fireplace and rear staircase to upper level. Updated island kitchen with granite counter tops, 42" cabinets, breakfast bar, induction cook top, double oven, and under cabinet lighting, etc. Formal living room and dining room with hardwood floors, elegant columns, plus full trim package including crown molding, chair rail and wainscotting. Main level office with bay window and french doors (Could be 6th bedroom). Luxury master bedroom suite with tray ceiling, huge walk-in closet and large master bath. Finished walkout basement with bright open recreation room, one bedroom, media room, full bath and storage area. New stain master carpet in basement. Dual-zone heat system (1 unit only 3 yrs. old).9 ceilings on main level. Plantation shutters. Enjoy your summer afternoons on the screened porch addition overlooking large deck, brick paver patio and fenced backyard which backs to woods for extra privacy.